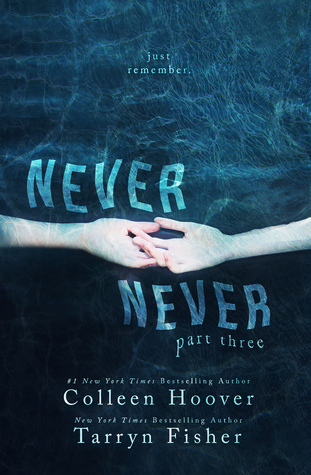 Summary: New York Times bestselling authors Colleen Hoover and Tarryn Fisher are back with the much-anticipated final installment in the Never Never novella series. Together, Silas Nash and Charlize Wynwood must look deeper into the past to find out who they were and who they want to be. With time ticking down, the couple are in a race to find the answers they need before they lose everything. Can they regain what they once had? And will it restore who they once were? [x]. Review: I don’t know why this book was split into three novellas (for more money right?) and I would have preferred it as just a novel on it’s own. I feel like it would have read better. This is probably the first book that has Colleen Hoover’s name on it and I gave it less than 5 stars. It’s not that it wasn’t good it just didn’t do it for me. I expected there to be a big plot twist or something other than what I had read. There is so many amazing, wonky directions that this could have gone in and I have to say I was let down with the end result. There were so many open ended factors that weren’t resolved whatsoever. I know the focus was on the two main characters but still. Why bring up The Shrimp? Parts 1 & 2 were captivating as the concept was unique and I was excited to see how two writers would create something. Part three felt very rushed like they had a deadline and just threw together something without much thought. Also, part three felt way cheesier to me for some reason. I’m a little in shock that I didn’t like it as much as I thought I would but I won’t hold it against them. This entry was posted in book, book review, book reviews, books, colleen hoover, never never, new release, part three, review, reviews. Bookmark the permalink.